There are (1) reviews about this jobseeker. Sign Up with Pro Account to see them. •Prepares necessary Training and Orientation to a newly hired staff of the company. •Administrative Task like Schedule preparation, Data Monitoring and Checking of Team’s Task. •Act as a Manager /Team Leader/ Directly reporting to the Employer. •Deliberate tasks to the whole Team. •Proficient in Google Docs and any Microsoft Application. •eBay Listings / Sourcing items to be sell on eBay. •Finding Profitable item to sell online using Zikanalytics and competitor research. •eBay Customer Service – Attending customer’s Inquiry, Handling Complains and Concern about the item. •Processing Refunds for Returned Items. •Tools and Sites Used: Inkfrog, Priceyak, Yakpal, VPN, DSMTool, Crazylister, Zikanalytics, SaleFreaks Console, Ebay and Amazon. •Sourcing items from Walmart/HD to be sell on Amazon. •Tools used: Amazon Right Click, Scanalyze, E-COM, Amazon Seller Central, Walmart and Amazon. •Creating and editing Images for IG and FB Niche. •Creating Educational Videos using EasyVSL. 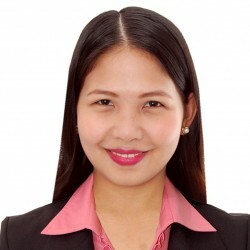 • Doing some paper works like filing of documents, encoding of data, sorting of files, checking of sales reports, photocopying, scanning of documents, shredding. • Customer service- answering phone calls, and solves customer’s complaint. • Inventory of stocks on hand and Supplies. • Doing the monthly preparation of reports and submit it on time. • Doing other task given by superior. • Determined the money/bills if counterfeited or not. • Sorting of Bills and denomination. • Pick-up of daily sales and consolidation. • Preparing of cash and check deposit slips and deposit the cash sales in the bank. • Collection of payment from over the counter customers and preparing of official receipts in every transaction. • Counting of cash sales. Balancing the funds in every shift. • Checking and preparation of cash advances. And liquidate Cash Advances before the due date comes. Balancing the Petty Cash Funds. • Preparation and Balancing the USBF (Unclaimed Salary and Benefits Fund). • Preparing the cashier’s allowance for the month. • Preparing the payroll for the seasonal employees. • Doing the Journal Entry- encoding data using SAP System. • Requesting of Gift Checks and safekeeping of items in Treasury. Preparing cash boxes for cashiers and pick up of sales. • Experienced in encoding data using SAP System. • Knowledgeable in Microsoft office like MSWords, Excel, Powerpoint, Paint. • Installation of software and hardware in computer. I worked as Treasury Assistant for 3 years and Worked as a Team Leader for Ebay and Amazon Drop shipping Company Since 2017, eBay Customer Service and Shipment Tracking Information Updates. I have worked on Ocasio Marketing LLC as a Social Media Marketing, Facebook Page administrator. I have worked also in eBay with Marketing and sales. i have a 3 years experience in finance & management. I worked in treasury department in admin office of one of a popular shopping malls in the Philippines. Confused about how much you should pay your VA? Don't know what salary to put on your job post to attract qualified candidates? 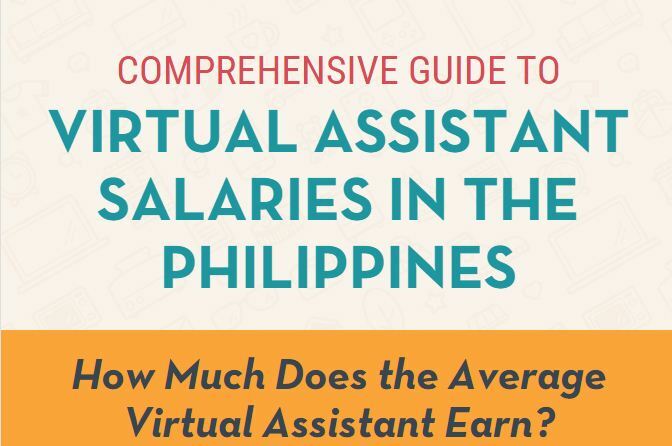 Here's a comprehensive salary guide to help you figure out how much you should pay your virtual assistant.